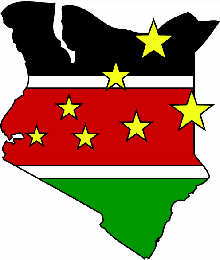 The background image is composed of the outline of the country of Kenya, overlaid with an approximation of the Kenyan flag. The colors of the stripes are the same as those used on their national flag and represent the following: BLACK - represents the people of Kenya, RED - represents the blood that was shed for freedom, GREEN - represents the natural resources on beauty of the country, and WHITE - represents peace. 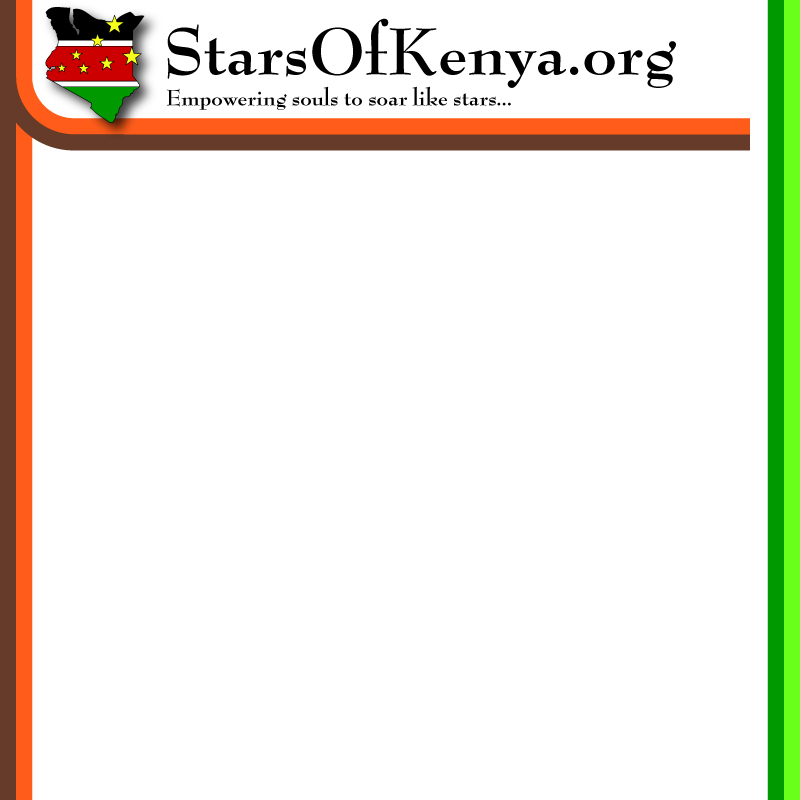 The yellow stars represent the children, women and men who are empowered by Jesus and soar across, and out of, Kenya, bringing positive change wherever they land. All of the stars originate from the small village of Miwani, St. Lukes, where Pastor Joshua first described his vision of the children "shooting like stars". There are seven stars; in Hebrew, seven (Sheh'-bah) is from a root word meaning complete or full. We believe that God's work all around the world will be fulfilled and completed. Our logo is composed of several different elements which lend to its meaning.